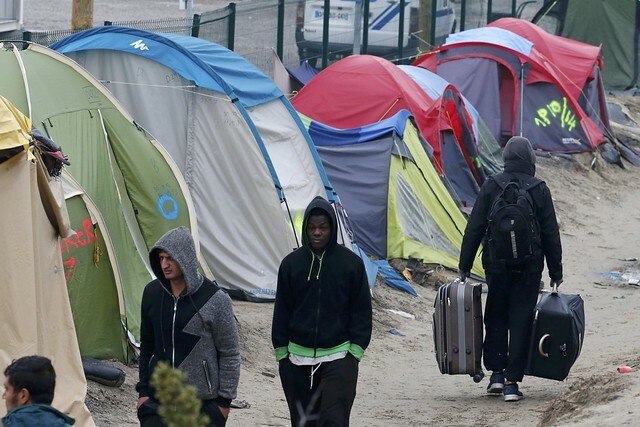 France has begun clearing migrants from the Calais camp nicknamed the “Jungle” on the country’s northern coast. The first bus left at 08.00 CET on Monday, carrying 50 people from Sudan who had arrived at a transit centre shortly earlier. By lunchtime several hundred were reported to have left. Sixty buses were due to transport the first wave to reception centres for asylum seekers elsewhere in France. Some scuffles were reported as hundreds of people queued outside a hangar awaiting the registration process. Aid workers have been handing out basic provisions and information leaflets. The migrants are to be separated into families, adults, unaccompanied minors and vulnerable individuals. The evacuation is expected to take at least a week. “I’m from Sudan. (The) French government told us before: ‘We want to take you to other cities’. Because life in the Jungle is not good, for everyone, because of winter… and seasons, other seasons,” said one of the departing migrants. Asked why he was there, one aid worker said it was to “accompany friends” he had known for months and who were heading off to an uncertain future. Charities have warned the calm mood witnessed on Monday morning could change when the camp begins being dismantled. Many migrants are desperate to reach Britain and the authorities are worried that protesters may exacerbate tensions. 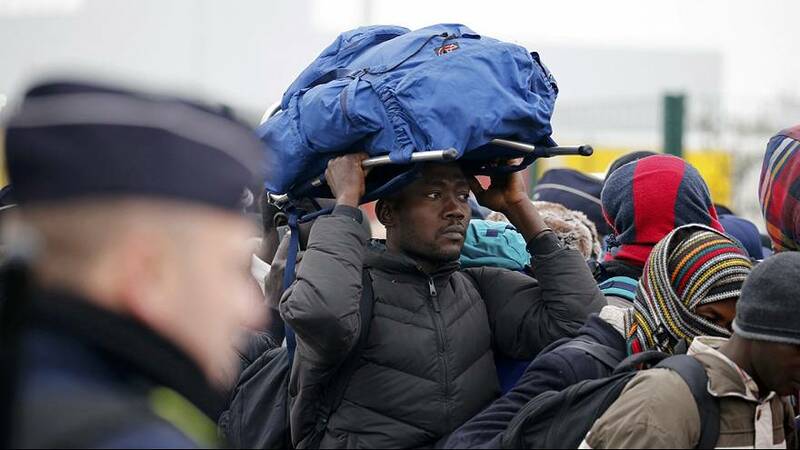 The French government says it is acting on humanitarian grounds as the camp is in a squalid condition and is unable to cope with the 7,000 people who are currently living there. From Tuesday (October 25), heavy machinery will be sent to clear the tents and shelters that have been left behind. But the fate of some 1,300 unaccompanied minors is still uncertain. Charities have criticised the slow pace at which both British and French officials have so far processed the papers of children fleeing countries such as Syria, Afghanistan and Eritrea. Extra police are to be deployed in the camp as there are concerns some migrants will refuse to leave because they still want to get to Britain.Those who refuse to move face arrest. Around 200 unaccompanied children have left the camp for the UK, some are to join other family members while others are without relatives there but are judged to be vulnerable.